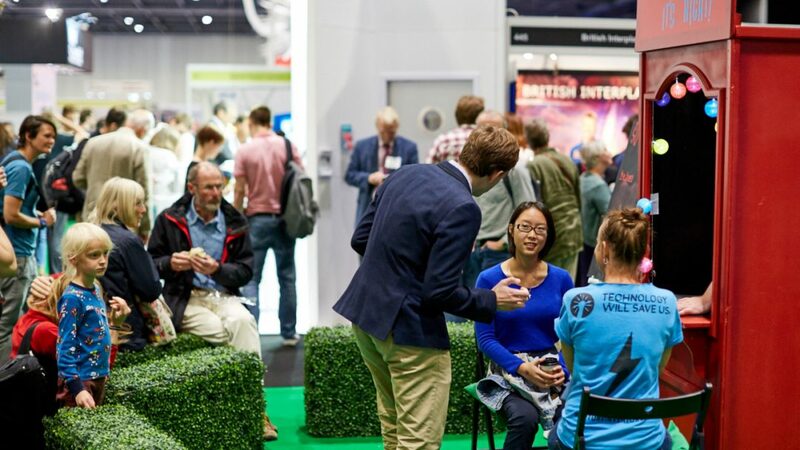 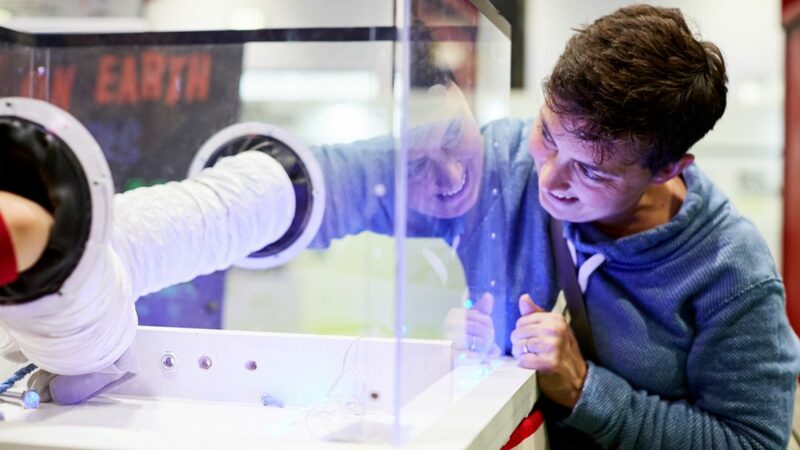 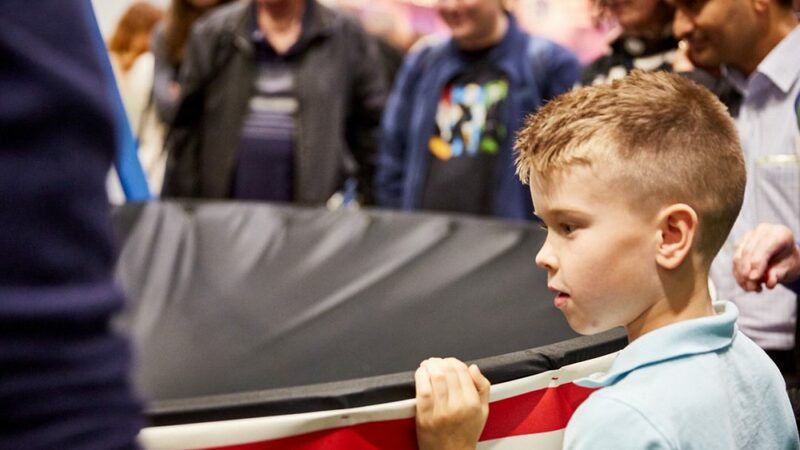 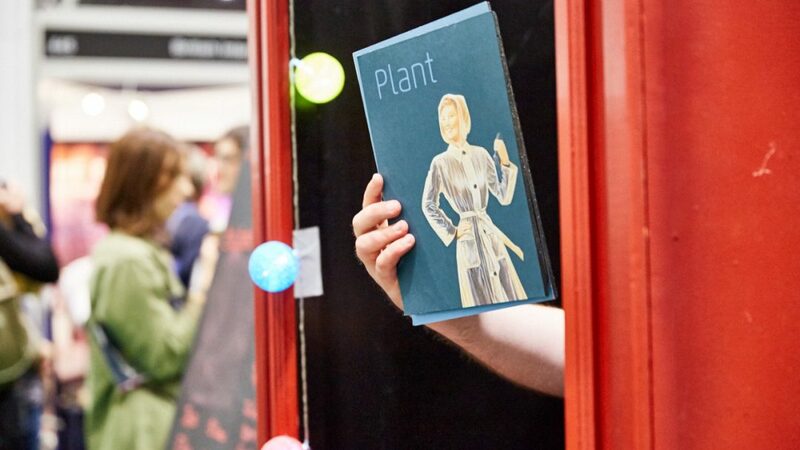 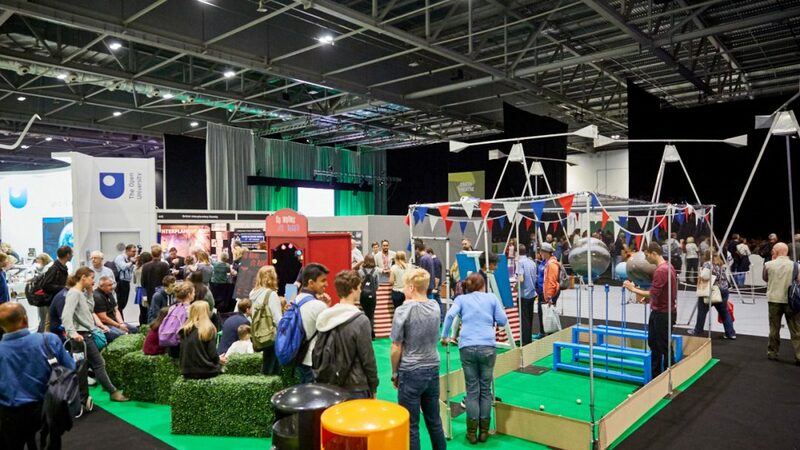 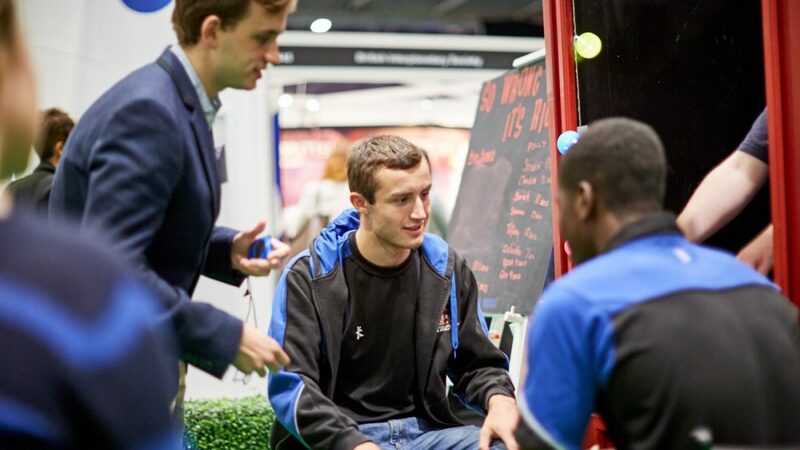 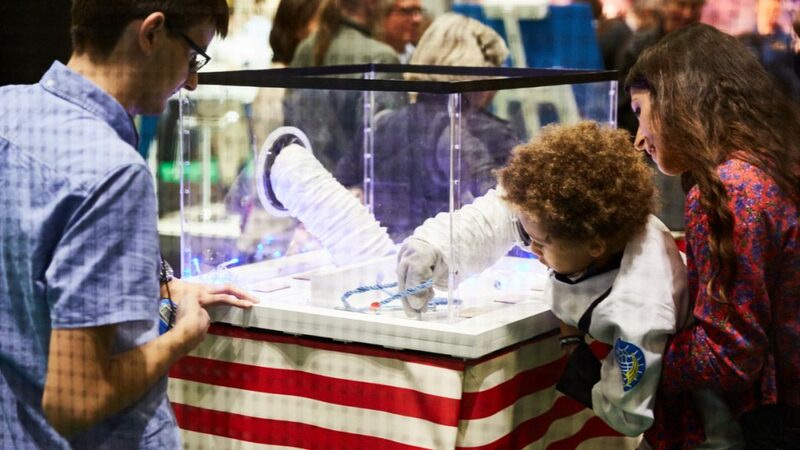 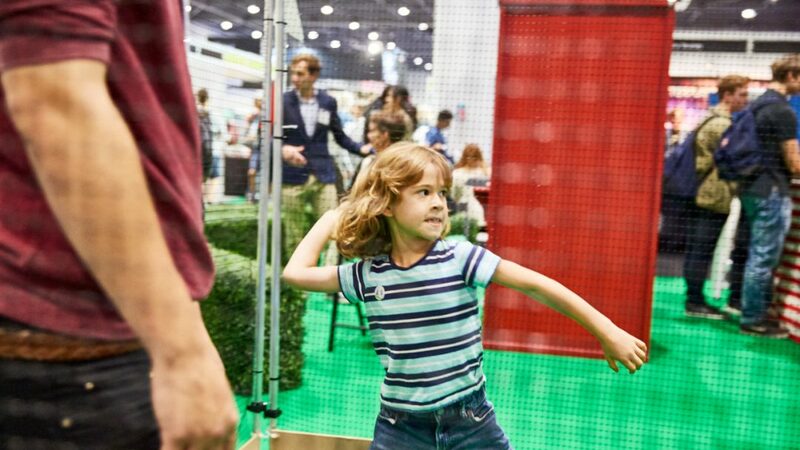 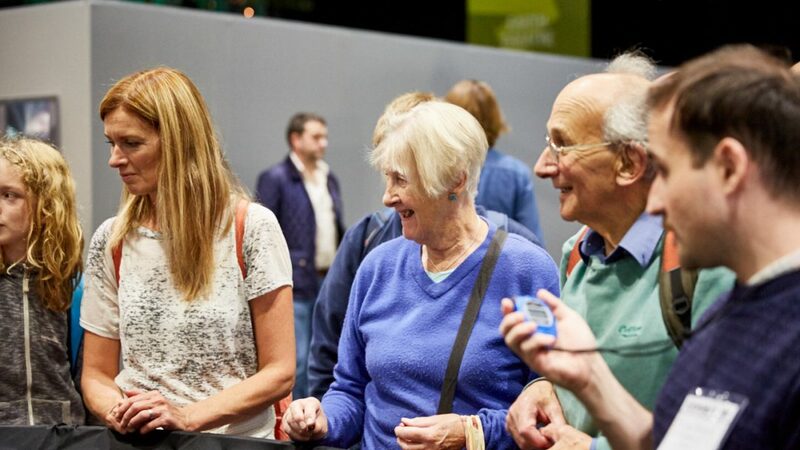 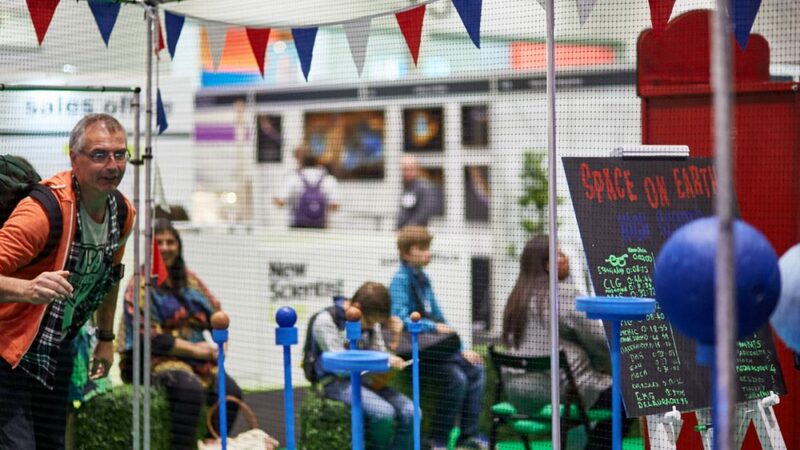 From 22 to 25 September, we ran the Scientific Village Fete at New Scientist Live, a four-day festival of ideas and discovery. 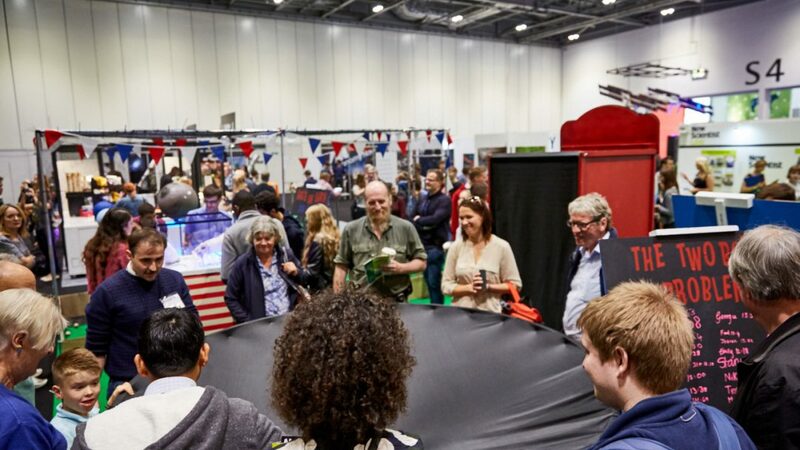 Our corner of the festival invited passers-by to play traditional village-fete-style games – but with an astronomical twist. 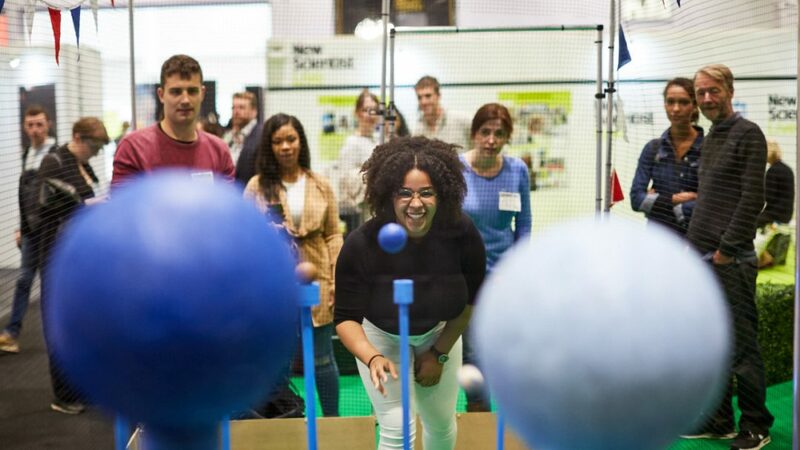 In the Planet Shy, people threw balls coconut-shy style – but their aim was to knock down a scale model of the Solar System. 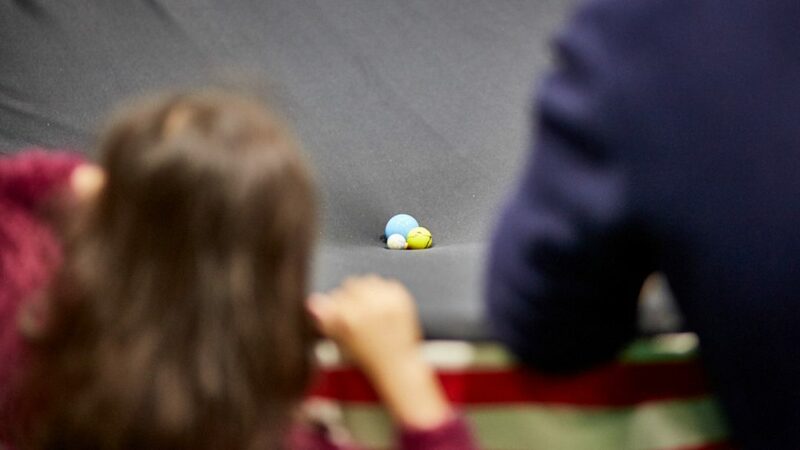 In The Two-Body Problem, a classic demonstration of how gravity works became a head-to-head challenge, as groups of players rolled marbles planets into orbit. 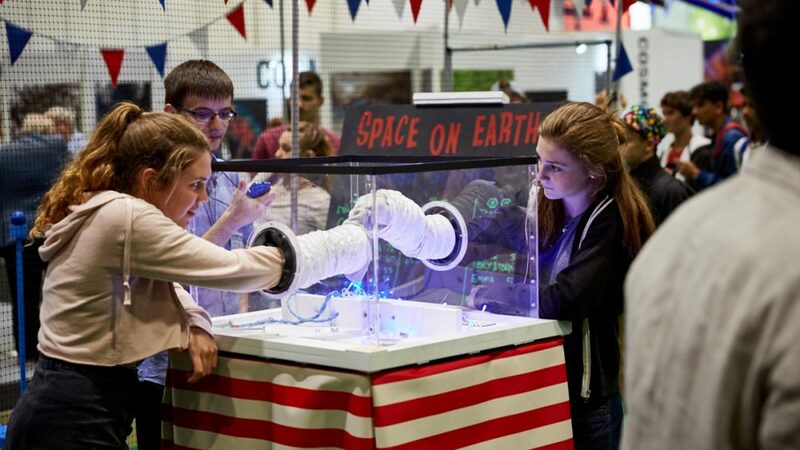 In Space on Earth, a co-operative game created by Saffron Parker, players put their hands into simulated spacesuit gloves and had to try to screw on nuts and bolts and tie ropes together. 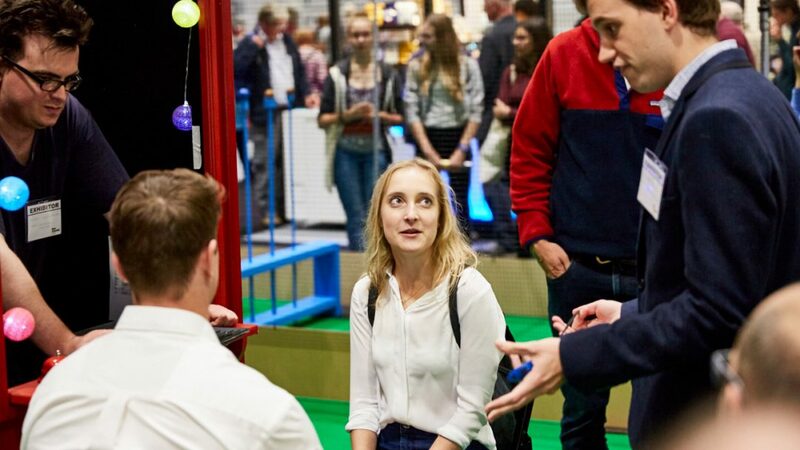 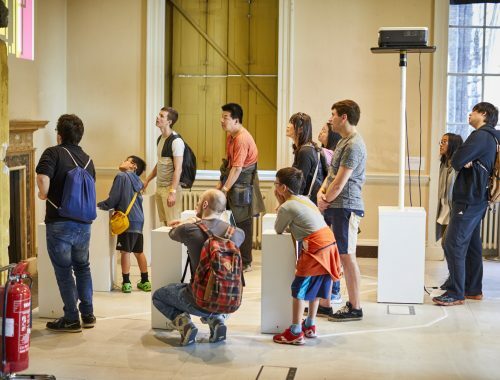 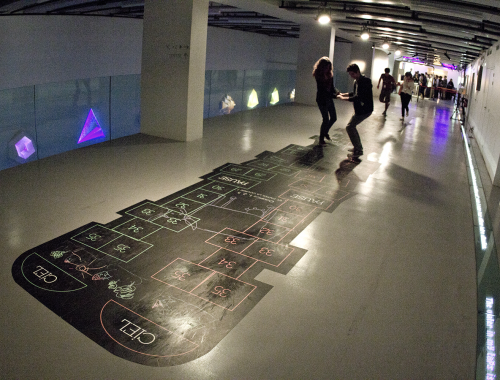 And in game-show-style So Wrong It’s Right, performers drew the crowds before challenging players to go head-to-head against the quirks of their own brain, with a challenge that used the Stroop Effect to turn something quite simple (say seven random words) into a real challenge. 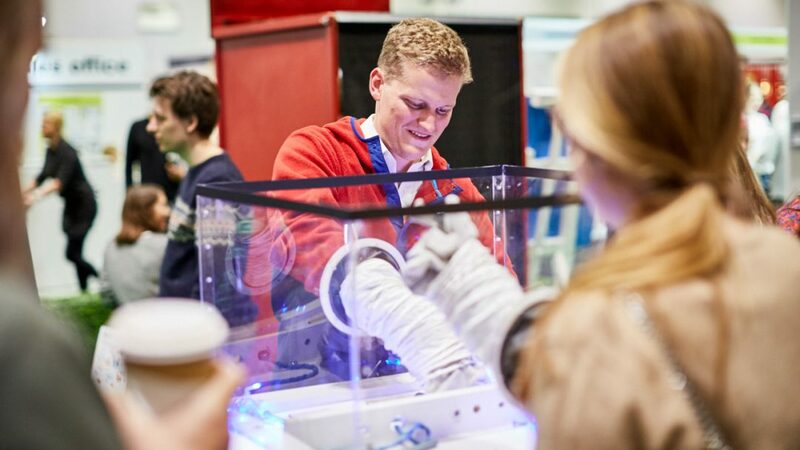 The games drew thousands of players over four days – including real live astronaut Al Worden, shown playing here with Sumit Paul-Choudhury, the festival director (and editor-in-chief of New Scientist).